Manly is a beautiful seaside town located only 30 minutes on a ferry ride from Sydney’s CBD. Let me tell you it’s not just the beach that people go to Manly for. It’s is a haven for joggers, cyclists, swimmers, snorkeling, surfing, fishing, playing beach volleyball and lots more. There is nothing better than taking a ferry ride on Sydney Harbour to Manly. Manly is a fun day out and a great way to spend the morning, afternoon or the entire day. 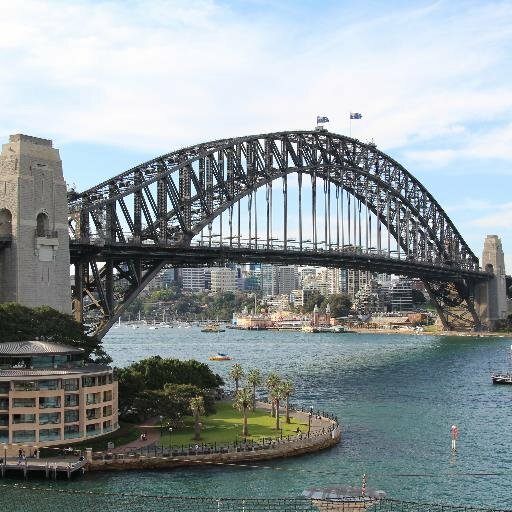 You will get some stunning views of the harbour, Sydney Harbour Bridge and Sydney Opera House and thus some good opportunities to take some amazing photos like the ones shown here. A ferry ride to Manly only takes 30 minutes and the ride has spectacular views so get a good seat once you’ve hopped on board preferable outside seating if the weather is good. Ferries pass through the Harbour Bridge and the Opera House, which means that passengers can get an up-close look at the famous iconic structures of Sydney. Even for those that are not so keen to go to the beach can still experience the ferry ride, as you would be paying far less money to do the Manly ferry than what you would pay to go on one of those sightseeing boat tours and both give you the same sights. You can come off at Manly Wharf, stay for lunch and head back. Manly Wharf has some great waterfront dining options so you can go for the food and stay for the views. It really is worth it. How much does the Manly Ferry cost? Services between Circular Quay and Manly run every half an hour from Wharf 3. Single and return tickets are available and can be purchased from the ferry wharf. Single Adult ticket costs $9.10 and Single Child ticket costs $5.40 irrespective of when you travel the prices are the same. Return Adult is $18.20 and Child Return is $10.80. Alternatively you can purchase a commuter bulk ticket. These tickets do vary in price depending on the time of day you travel. Peak hours is more expensive to other times. Adult is $7.28 (peak) and $6.86 (off-peak) and Child is $5.40 (peak) and $5.35 (off-peak). Weekend Prices are the same as weekday off-peak prices. For more information about ferry services in Sydney please visit their website. If you want to see Manly via Ferry but don’t want to spend a lot of money then for only $2.50 per person, your family can do the Family Funday Sunday which means all members of the family can enjoy unlimited travel all day Sunday in Sydney on buses, trains and ferries for only $2.50. Under four year old are free. Tickets are no longer sold and you have to purchase an opal card. Welcome to Manly! You will know you have arrived as you will be able to smell the fish and chips and the clear sea breeze. After the ferry ride you may want to grab a bite to eat or have lunch. If you’re looking for the perfect waterfront dining experience with stunning harbour views, then you’re in the right place. There are a few waterfront restaurants to choose from that serve fresh seafood or modern Australian cuisine. Situated in a great location by the waterfront at Manly Wharf is Papi Chulo, a popular location that specializes in American BBQ and grill. They offer banquet menu and bbq platters. Hugos at Manly Wharf is a classy pizza restaurant and bar that have the most spectacular waterfront views overlooking Manly Cove or you could try Manly Wharf Hotel where you can enjoy a bite to eat and some drinks at the Wharf bar. The bar sits on the pier so you get some great views. Other restaurants where you can eat and drink at Manly Wharf include Gloria Jeans coffee, Nando’s, Subway, Max Brenner, Guzman Gomez, Mcdonalds and more. Hop off at Manly Wharf and take a stroll around to Little Manly Cove Beach and let your little ones dig their toes in the sand. Grab some fish and chips from Manly Wharf, throw down a rug and laze in the sun. Manly is well known for its main surf beach and Shelly beach, however a lot of people don’t realise that there is this hidden gen just around the corner from the Wharf. It is so perfect for families with small children because there is lots of grass area, the water is nice and shallow, there are no waves and it has a shark net pool. It’s the perfect spot for kids to build sandcastles as you watch the Manly ferries go by. My 2 year old daughter loved it here and she really enjoyed building sandcastles and heading over to the water, filling up the bucket and walking back to the sand. You wouldn’t want to be at the Main Beach as you would find it more crowded. Manly Cove is just so much more child friendly and safe you will want to stay. Kids can bring their bikes or scooters and ride along the promenade here. Later you could go for a walk along The Corso for a bite to eat and let the kids play in the playground while you enjoy a coffee. 4. Take a stroll onto The West Esplanade – another great little beach for the littlies. The West Esplanade is a short walk from Manly Wharf. West Esplanade is also suitable for kids and safe for them to swim as there are shark safety nets in place. Similar to Phillip Island in Melbourne, Manly is also home to a group Penguins known as Fairy Penguins. Manly is known for these iconic Fairy Penguins where they frequently come to nest every night between July and February which is when the breeding season starts.They are the only mainland breeding colony left anywhere in New South Wales. If you are around in the evenings at sunset then do remember to keep a watch for the fairy penguins as they arrive back to shore and return to their burrows. The penguin population at Manly is quite small so you may or you may not see them in their natural habitat. If you do then you will see then near the Manly Wharf or at Manly Cove and West Esplanade. A Volunteer Penguin Warden may be out and about so you can ask questions. The wardens are on duty to protect the wildlife and ensure that the penguins can breed safely and that no harm can come to them from humans or other animals. If you can’t see penguins in the wild, you can always visit them at Sydney Sealife at Darling Harbour. Unfortunately the Manly SEALIFE Sanctuary is now permanently closed. Once you’re done at the Esplanade, walk down the Manly town centre what is also known as the famous Corso. The Corso is a really nice relaxing walk towards the main Manly beach and is a pedestrianized broadwalk lined with these beautiful palm trees that give that beach tropical feel it’s really nice. The walkway is nice and wide and has a big playground in the middle with seating. Here you can let the kids play while you sip on a cup of coffee and relax while the kids burn off some more energy. There are also some nice sculptures along the Corso and water fountains that the kids will enjoy running through. The Corso is well known for its long line of shopping precinct. You will find restaurants, cafes, pubs, gift shops, supermarkets, surf shops, clothing shops, shoe shops and lots more. There is no shortage of fish and Chips here so if it fish and chips you are after you can grab some from OceanFoods (my favourite) on the Corso – Yum! The Corso at Manly with the abstract sculpture in the background. From the Corso head over to Manly beach. This is perfect place for the surfer and it has huge waves. Manly Beach is what really draws Sydneysiders and tourists to Manly. The beach stretches for 3km. Weekends are always busy with the beach packed especially on warm summer days. If you want to then you can also hire chairs and umbrellas which are easily available from vendors along the beach. The beach is patrolled by lifeguards. If it’s a surf you are after you will also find vendors hiring out surf board, wetsuits etc. and they can also be found along the beach. The Cabbage Tree Bay Eco-Sculpture Walk is suitable for families with kids and takes about 15 -30 minutes. It starts at the Manly lifesavers club on Marine Parade, and follows the jagged coastline all the way to a spot called Shelly Beach (A Popular family friendly beach). This walk is suitable for wheelchairs, prams and strollers. Along the walk you will see 11 sculptures that highlight the history and wildlife in the area. One spot definitely worth a stop is the Fairy Bower baths, where you’ll see a pair of sculptures representing bathers enjoying the sun and sea at Manly Beach. Pair of sculptures at Fairy Bower Baths represent bathers enjoying the sun and sea at Manly Beach. When you come off at Manly Wharf the Manly-Spit Bridge Walk is signposted. The walk is 10 km of gorgeous coastal views as you weave through a mix of bush land and scenic harbourside trails with lots of secret beaches, rock pools, parks and playgrounds along the way and a good opportunity for some great photo shoots along the way. The walk is well sign-posted and takes around 3-4 hours to complete, depending on how long your stops are and your fitness level. You will come across some great lookout points offering amazing views of Sydney CBD, including historic sites such as Grotto Point Lighthouse. Make sure to take plenty of walk and food as you will get hungry. It’s time to work off that lunch and follow the nice walk way around the water to beautiful Shelly beach. Shelly Beach is a nice little sheltered beach tucked away around the corner from Manly Beach, fringed by cabbage tree palms. The calm, shallow water and rich marine life make this the perfect spot for scuba diving and snorkeling. It’s a safe little beach that is also perfect for families. There is a nice little Boathouse Café nearby that serves tasty food and fish and chips. The Bower Restaurant is another great location on the walk to Shelly Beach with sea views and outdoor tables. A Good place for nice hot breakfast and a coffee. If you are planning a day trip to Manly, I would definitely recommend visiting Shelly Beach too. My favourite way to get here is to do the Cabbage Tree Bay Eco-Sculpture Walk from Manly Lifesavers club. The Walk is suitable for families with kids and takes about 15 -30 minutes. There are all the facilities you need including toilets, changing rooms and showers. Do you have any other places that are worth seeing in Manly? Leave us a comment below.